One of the fabulous things about doing features weekly not only is inspiration...but it reminds me of projects I want to do! 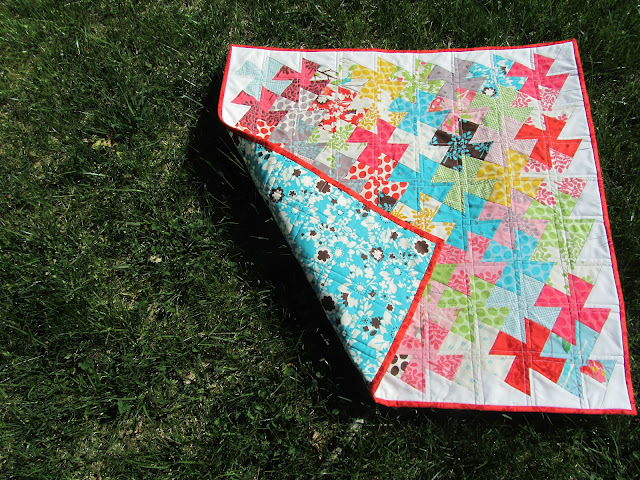 :) I had a Twister Quilt on my list for a while and I forgot about it until I saw this quilt by Jen from A Quilting Jewel!! I love the design, love the bright colors (It's A Hoot is such a great line!) just love it all! 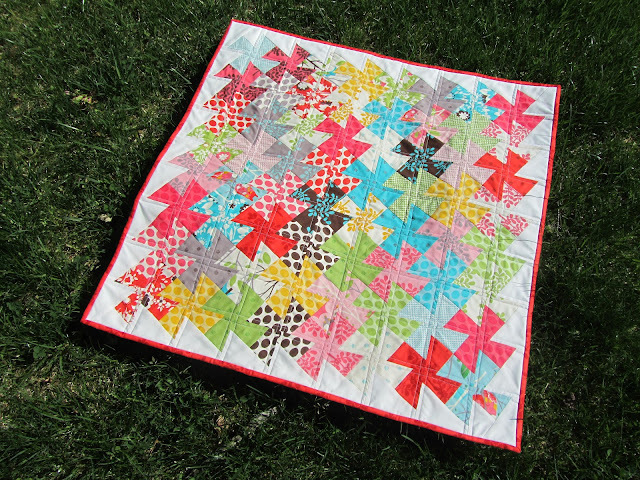 Jen is a modern quilter with a great list of completed quilts and some awesome free patterns and tutes. Check out A Quilting Jewel! I love those quilts! Great job. I'm seeing so many of these twister quilts lately, but this one is so colorful and fun. 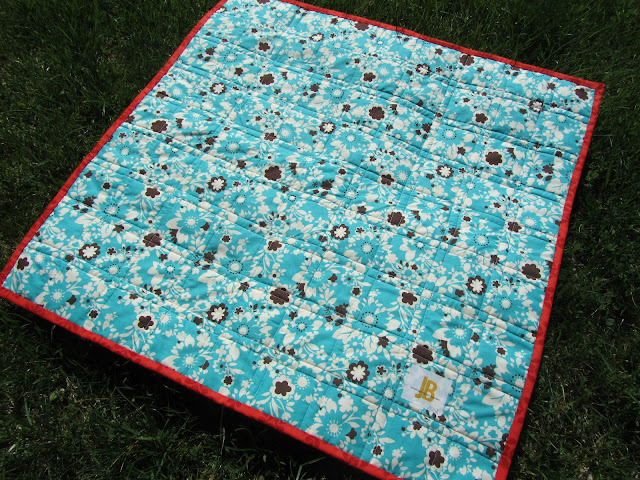 I just love the quilting on it! beautiful! i love that line too...one of their best, i think. I am really liking all the color going on and the 'twisting' just makes it so fun. Great job! I love it. 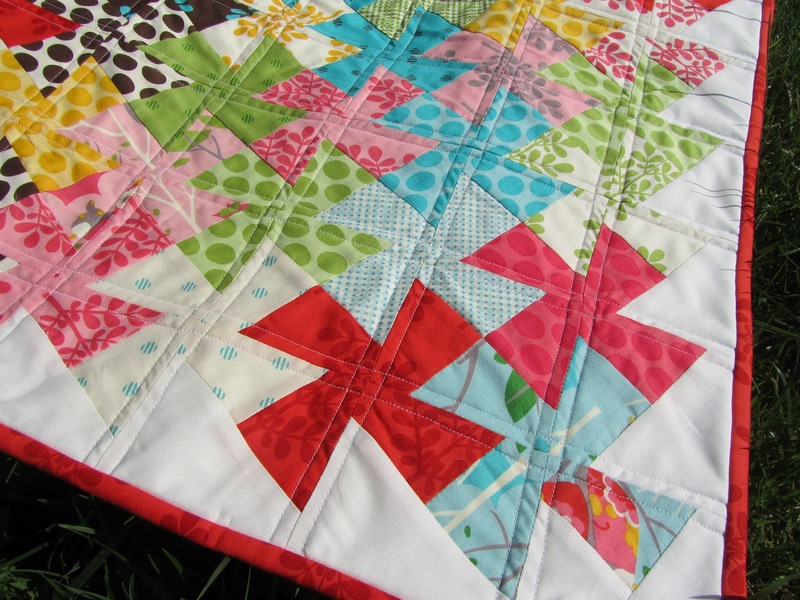 I have two Twisters (a small and a large) and I was wondering how to quilt them. This is GREAT! I have had a Twister for too long and have yet to try it out. I just might have too after seeing your lovely quilt. lovely little quilt. the fabrics are so pretty. 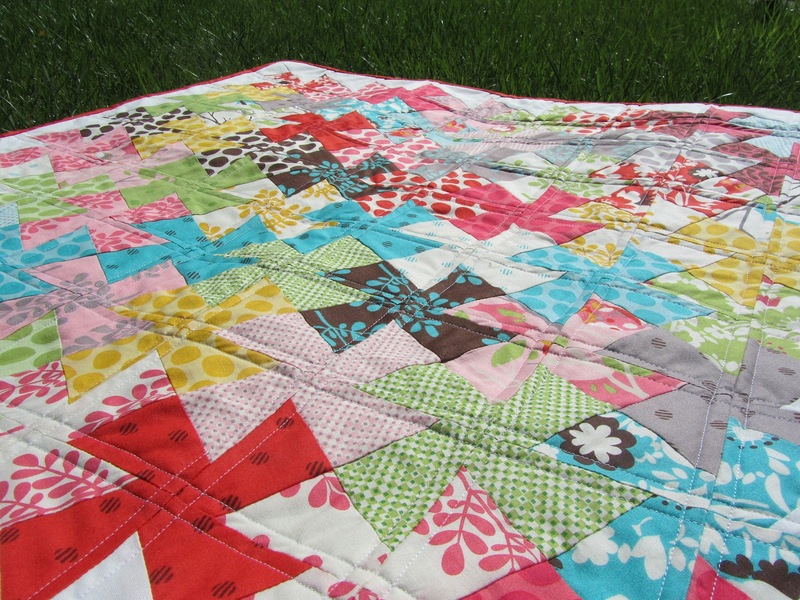 Love your quilt and the colors! I have both sizes of the twister template, but have not used it yet. Did you use two entire charm packs? What size did your quilt turn out. It seems like there is quite a bit of wasted fabric. thanks.